Published: March 13, 2015 at 09:51 p.m. The St. Louis Rams will hang on to free-agent receiver Kenny Britt. 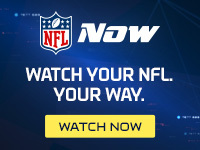 NFL Media Insider Ian Rapoport reported Friday that the receiver is staying with the Rams on a two-year, $9.125 million deal worth up to $14 million, per a source informed of the situation. Britt receives $4.3 million guaranteed. NFL Media columnist Michael Silver first reported Wednesday that the team was expected to re-sign the 26-year-old pass-catcher. Keeping Britt adds some semblance of consistency after a bevy of offseason changes on the offensive side of the ball. The Rams added a new offensive coordinator in Frank Cignetti before the team swapped Sam Bradford for Nick Foles on Tuesday. The enigmatic Britt set a career high with 48 catches to go along with 748 yards and three touchdown snags in 2014 -- the second-best statistical year of his career. However, he topped 70 yards in just two contests. The Rams will take another spin with the one-two combination of Tavon Austin and the 6-foot-3 Britt -- No. 51 on Around The NFL's top 101 free agents list -- for at least another year. Jeff Fisher could be in the market to add another wideout in a deep draft. The Rams also announced they re-signed free agent tight end Lance Kendricks.